It’s now official — Israel is an apartheid state — and which, for decades, has denied Palestinians their fundamental rights of freedom, equality, and self-determination. Israel has done this through a process of ethnic cleansing, colonization, racial discrimination, and military occupation. The world has not held Israel accountable for its crimes . . . and so they continue. 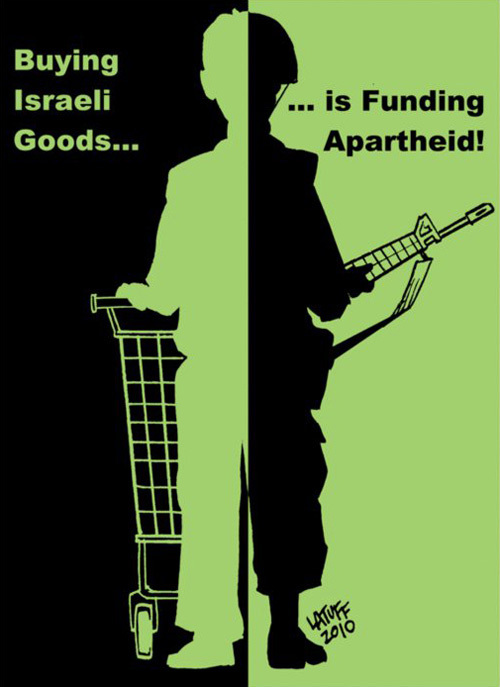 BDS is a global campaign of “Boycott, Divestment and Sanctions” against Israel. The campaign will continue until Israel complies with international law and Palestinian rights — a strategy that enables us all to play an effective role in the Palestinian struggle for justice.